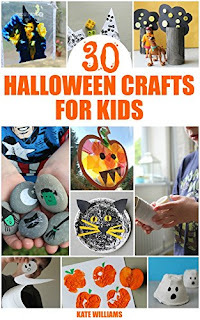 We have been lucky enough to take a peek at the new book 30 Halloween Crafts for Kids by Kate Williams who also happens to write one of our favourite crafty blogs, Crafts on Sea. 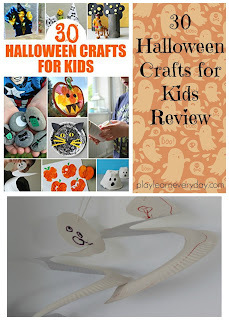 It couldn't have come at a better time as we are just starting our Halloween crafts this year, and the kids love to fill the house with as many as they can! We are absolutely loving this book so far, my favourite thing about it is just how easy the crafts are to do for young children and how most of them use materials that you already have around the house, which is our favourite way to craft! There's nothing in here that is too difficult for my children to do at 2 1/2 and 5 years old, and Kate even gives tips on how to modify the crafts for older and younger children. 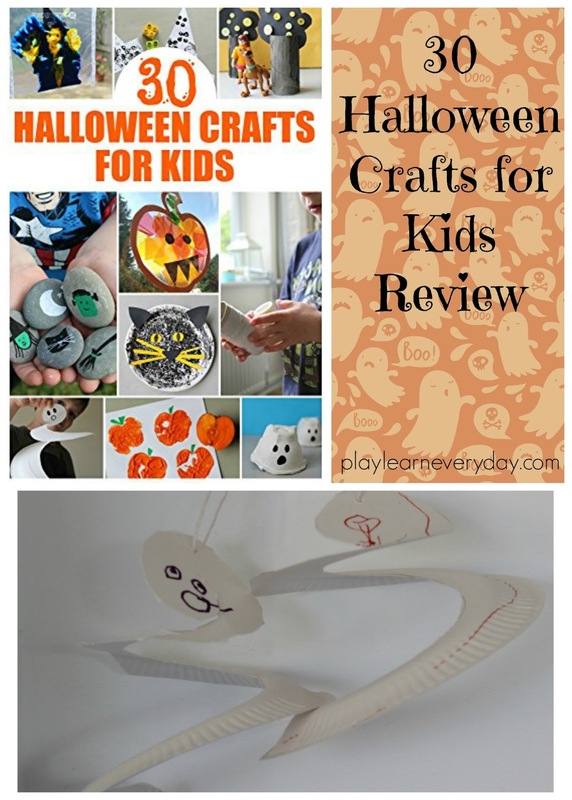 We can't wait to try all of these crafts, but we started with the adorable Paper Plate Ghosts as they're something that I haven't seen done before and such a cute idea for decorating the house for Halloween. I was able to let Ethan have a go with the scissors and cutting the paper plate himself, and I helped Ivy along with her cutting. Then I gave them some markers and let them draw on their own spooky faces. Finally I popped a piece of string through the top so that we could hang our ghosts up and scare our Halloween visitors!